The West of England Billiard & Snooker Foundation Gold Waistcoat Tour broke off at the Victoria Snooker Centre, Plymouth with event 1 in a series of 5 that will take place during the 2008/9 season. England International, Matt Williams from Plymouth led the way by beating fellow international Sam Baird from Halberton in the final. Williams also posted the highest break of the day, a fine 96 to take the break prize. The semi finals saw the end of a father and son bid to reach the final of the tournament. Wayne Branton lost 2-0 to Williams and son Dale Branton, despite a gallant 46 break, lost to Baird 2(67)-0(46). In the quarter finals Darran Lock from Seaton did well to qualify only to come up against in-form Williams. Williams posting a 43 break in his 2-0 win. Wayne Branton reminded the young talented Darren Bond from Tiverton that experience still counts as he won 2-1. Gant Cole, Plymouth had good chances in the final frame decider to beat arguably the best non professional player in the region, Baird coming through 2-1. Dale Branton made breaks of 50 & 42 in beating top billiard player and WEBSF Area coach Steve Brookshaw 2-0. In group 1 of the round robin stages Baird took top spot winning all his matches with consummate ease. Along the way Baird made several breaks over 50, the best a superb 90. Williams finished in second spot posting breaks of 96, 87, 68, 57 & 51. Lock took third spot and Dale Branton took the forth qualifying place by the narrowest of margins edging out respected veterans of the green baize, Derek Walker & Roger Cole. Group 2 was also a close affair with Bond relegating Brookshaw to second spot by way of frame difference, Bond make breaks of 72, 57, 44 & 41 and Brookshaw 58, 44, & 40. Three players finished level in third place. Frame difference and head to head results determined that Wayne Branton and Grant Cole should go through as qualifiers. Cole made breaks of 75, 62, 50 & 40 and Branton one of 64. The next tournament is scheduled to take place at Rileys, Plymouth, date to be arranged. 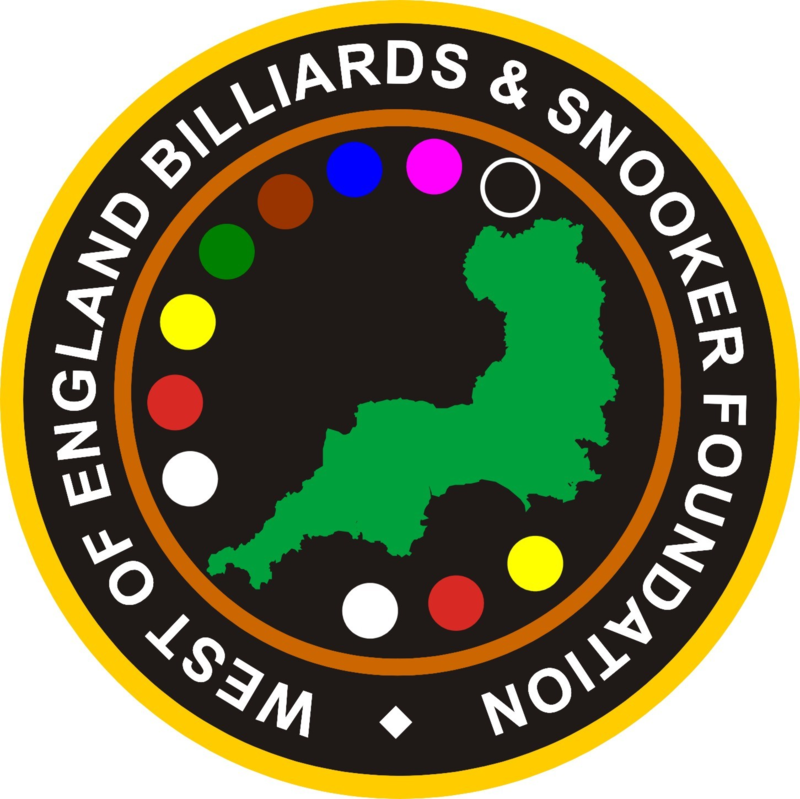 Details of this tour and other tournaments which are organised by the West of England Billiards & Snooker Foundation can be found on http://www.websf.co.uk or by contacting Roger Cole. Event 2 of the West of England premier snooker tour, the WEBSF Gold Waistcoat was played at Rileys Snooker, Plymouth. Once again the tour attracted the cream of the region’s snooker players to do battle on the green baize. Two new names progressed through to the final, 16 year old Dale Branton, and ex professional Lee Walters. Following a lengthy lay off from the sport, Walters made a triumphant and welcome return by winning the final 2-0. In the final he made breaks of 65 & 87 in a polished display of snooker. Branton was gracious in defeat, recognising Walters quality play and also content with his own day’s work. Reaching the final was enough to take Branton into top spot in the rankings after two events. Both players booked their place in the final the hard way, coming from a deficit to win 2-1 in the semis. Walters made a 40 break in the first frame, only to see Neil Chiswell make a frame winning 47 in reply. After levelling the match, it was a reversal of the first in the decider. Chiswell opened with a 40 break, only to see Walters seal the frame and match with a 37 break. In the other Semi final, Branton went 1 down, losing on the black to his coach and mentor, Steve Brookshaw. After a close second frame, Branton levelled to set up a decider. With both players in touching distance of a first appearance in a final, a tense affair could have been expected. This proved not to be, as Branton, with the help of a string of low scoring visits to the table, secured a notable scalp and a place in the final. In The quarter finals Chiswell won 2-0 in a close match against Grant Cole. Following a close first frame, Brookshaw didn’t take long in sealing a 2-0 win with the aid of a 53 break against Michael Day. Tour favourite, Sam Baird found it heavy going in his match against Lee Walters, despite going 1 up with a 41 break Walters battled, doing just enough to level the match. Baird kept his nose in front for the majority of the deciding frame until Walters seized on an opportunity, constructing a match winning 57 break. In the last of the quarter finals, it was the battle of the two youngest entrants, Dale Branton versus Mitchell Grinsted. It would have been hard to predict the outcome of this match as encounters between these two are evenly split. Branton started this latest encounter the stronger, winning the first frame 66-39. In the second frame after a cagey opening, Branton got into his stride, sealing the frame and match with a fine 67 break. In group A, Dale Branton secured top spot with 3 wins. 2nd place went to Mitchell Grinsted. 3rd place went to Derek Walker and 4th place to Paul Veitch. Notable breaks: Veitch 40 & 41, Grinsted 45 and Branton 37,42,52 & 77 clearance. Group B, Grant Cole finished in top with Michael Day finished 2nd, Darren Lock 3rd and Roger Cole 4th. Notable breaks: Grant Cole 56 and Lock 46. In-group C, Lee Walters took top spot 2nd place went to Sam Baird, 3rd Ben Holley and 4th Andi Sheehan. Notable breaks; Sheehan 34 & 37, Walters 45 & 45 and Baird with his usual array of breaks 40,45,55,57,60,72, and the days highest, a superb 117. Group D, Neil Chiswell finished in 1st place, Steve Brookshaw 2nd, Wayne Branton 3rd and 4th Darren Hall. Notable breaks; Brookshaw 47 & 62, Chiswell, 39 & 71, Branton 45,46,47 & 54. Event 3 of the prestigious WEBSF Gold Waistcoat tour was played at the Victoria Snooker Centre, Plymouth. Throughout the day the best players from around the region demonstrated their talent. The cream of the crop, current champion Greg Batten, proved the most consistent on the table culminating with a defeat of Darren Bond 2-1(57). Batten’s talent extended off the table with a master class in the art of ‘slight of hand’ amazing onlookers with an array of card tricks. In the semi finals Batten made a 41 break in taking the first frame against Roger Cole to lead 1-0. Cole brought experience to bear in making the second frame a lot tougher for Batten. However, it was not enough to halt Batten on his way to a place in the final. The other semi final saw Bond play very well in beating Dale Branton 2-0 with breaks of 69 & 54. In the quarter finals son Dale Branton beat father Wayne 2-0 aided by clearance breaks of 41 & 51. Cole beat Neil Chiswell 2-1, Cole took the first frame with Chiswell potting the pink in the second to draw level. The deciding frame was closely fought out before Cole won on the blue. Michael Day was having a good day until he found Batten too hot to handle losing 2-0. The clash of the Bond brothers should have been close as both have been in good form. However, it was Darren that was on his game posting breaks of 69 & 59 to win 2-0. The group stages provided the customary consignment of breaks the best break came in group D a magnificent 136 clearance by Sam Baird. The preceding two frames also included breaks of 78 & 84 that completed a 3-0 win over Billiards champion Steve Brookshaw. This was all too late for Baird to qualify for the knock-out stages as he lost his previous two matches to Dale Branton and Adrian Bond. Later in the evening, in his next competitive frame of snooker Baird made another magnificent break, a 142 clearance for Tiverton in against Exeter. Other breaks in the group where made by Dale Branton 48, 48, 44 & 83 clearance, Brookshaw 51 and Adrian Bond 108 & 41. Michael Day topped group A with three wins and breaks of 63, 51 & 48. second place Darren Bond made breaks of 84, 62 & 50, third place Grant Cole 50 and fourth place Andi Sheehan, Taunton with breaks of 62 & 41. Group B was won by Batten making a host of breaks, 92, 78, 70, 66, 62, 52, 52 & 41. Wayne Branton finished in second place with breaks of 57 & 46. Current Silver Waistcoat Tour leader Mitchell Grinsted finished in third place with breaks of 67 & 48, Darran Lock finished in fourth place. Breaks were sparse in Group C, winner Neil Chiswell posting the only break, a 51. Roger Cole came second with two wins, Darren Hall third and Ben Holley fourth. After three events Dale Branton heads the ranking table with Baird second and Darren Bond third. Sam Baird played consistent snooker all day which concluded in a 2-1 win over Neil Chiswell with an exchange of high breaks in what was an excellent final. Baird won the first frame with a superb 100 break, breaking down on a tricky yellow. Chiswell responded with an excellent frame wining break of 61. In the decider Baird amassed a break of 63 before a miscue ended what looked like being another century break. This takes Baird to the top of the overall rankings edging the young talented Dale Branton into second spot with just one event to go. This was the first time a WEBSF tournament had been held at the Belgrave Club, Plymouth and the players were presented with first class facilities and playing conditions. In the semi finals Chiswell beat last event winner and current regional champion Greg Batten 2-0 whilst Baird repeated the same score line against Steve Brookshaw. The quarters saw Baird beat Wayne Branton 2-1 and Brookshaw beat tournament host Derek Walker 2-0. Newly crowned WEBSF Silver Waistcoat Champion Mitchell Grinsted played excellent snooker all day before going out to Batten 2-1, Batten recoding a 61 break in the match. In the last quarter final Chiswell beat Grant Cole 2-0. The group stages produced the best break of the day an excellent contribution of 106 by Grinsted. He also topped group A, wining all his matches and posting other breaks of 55,65,75 & 75 clearance. Brookshaw qualified in second place aided by an 82 break. The best break of the group was a 103 clearance made by Lee Walters, Plymouth. Baird dominated arguably the strongest group B dropping just one frame and posting a string of breaks 89,86,78.75,66,66,65. Grant Cole, helped by breaks of 87 & 61, finished in second place edging out Darren Bond, Tiverton on frame difference, Bond made 2 breaks of 84 and a one of 69. New player to the Gold Waistcoat Andy Neck finished in third place and he was quick to admit that he was ill prepared for the onslaught of potting that he was to face on the day. Neck is a quality player, have no doubt he will return better prepared for the next tournament. Group C saw a three way tie for first place. After frame count-back Walker emerged in first place and Wayne Branton second, edging out Darran Lock despite Lock making breaks of 70,65,62,49 & 43. In group D there was another three way tie with Dale Branton being unfortunate not to qualify by just one frame. Branton made breaks of 75,64,46 & 45. Batten and Chiswell the two to qualify from the group. Going into the final event Baird and Branton Junior look favourites to lift the overall title this season with Chiswell in with an outside chance the outcome is not a formality. Sam Baird, with the exception of a close semi final against a newbie to the tournament James Lee, made light work of wining event 5 of the West of England Billiards & Snooker Gold Waistcoat Tour. By qualifying for the knock-out stages he secured the overall crown of WEBSF Regional Gold Waistcoat Champion. In the final Baird beat Grant Cole 3(51)-0 in a one sided match. In the qualifying stages Baird posted the highest break of the day, a superb 135 that complimented the 136 clearance break made in a previous round that took the overall tour highest break prize. Cole’s performance moved him into third place overall to send out the message that he will be a serious contender to watch out for next season. The overall runner-up position was taken by yet another up-and-coming talent emerging from the WEBSF stable, 17 years old Dale Branton. This achievement is even more commendable given the limited amount of time he has been able to practice due to studying for exams. In the semi finals Baird was made to dig deep into his reserves of concentration to beat newcomer to the tour, James Lee from Paignton 3-2. Baird made breaks of 54 and a clearance of 60. Wayne Branton had played consistently well all day but seemed to run out of steam in the semi against Cole when he lost 3-0. Cole make a 66 break. Up until the quarter Baird had won every match without dropping a frame. It was Steve Brookshaw that put a blip on Baird’s score sheet before Baird won through with an 86 break. Lee and Darran Lock had a very close match, Lock making a 49 break before Lee won the encounter with a 58. Dale Branton’s brave challenge for the overall title came to and end when he lost to Grant Cole. However, Branton by now had done enough to secure the overall runner up spot. Michael Day found Branton senior too tough on the day and went out with the promise to return and fight another day. In the group stages Baird was ‘on fire’ posting breaks of 42,54,55,68,78,80,103 and a magnificent 135 in just eight frames of snooker. In his wake Lee finished in second place, Lock third and Day took the forth qualifying place. Group 2 was won by Grant Cole who pipped Wayne Branton on frame count-back. Cole made breaks of 82 & 43 and Branton had a string of breaks 47,56,64 & 77 clearance. Brookshaw finished in third place with an 82 break and Dale Branton fourth with two breaks of 53. The Gold Waistcoat Tour will return again in September and the rumour is there will be a few cues being dusted off by some of the more seasoned players to counter the assault from the younger brigade and bring some tough, tactical and experienced play to the snooker scene.